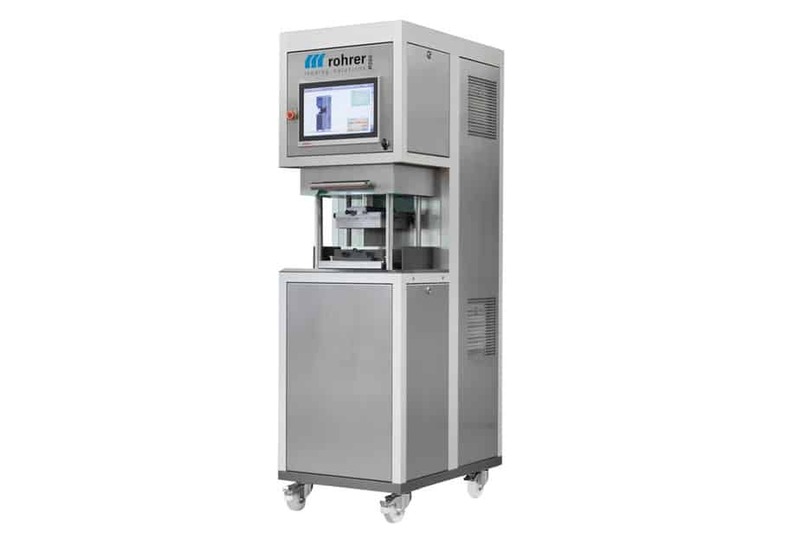 The R560 mobile blister machines have been specially developed for Research and Development laboratory applications. High quality blister packaging can be achieved using the R560 for various types of flexible foils. The blister machine operates as a press and basic functions can be added to the machine such as forming, cutting, sealing, perforating, etc. These functions are quickly exchangeable tools and they require a format specific tooling for each project. 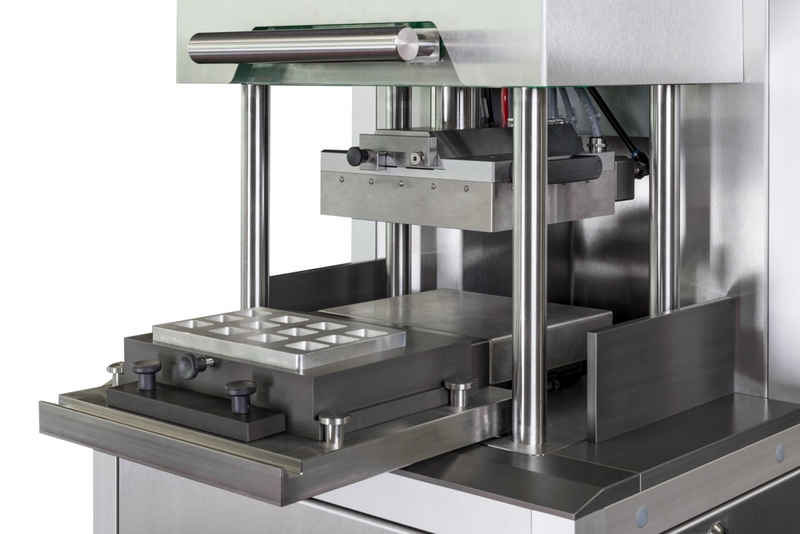 Both thermoforming and cold forming tools have the same forming area size: 184 x 119 mm. All process dependent parameters, force, temperature and time are set up on the HMI touch-screen panel which provides the operator with a fast and efficient packaging development tool. 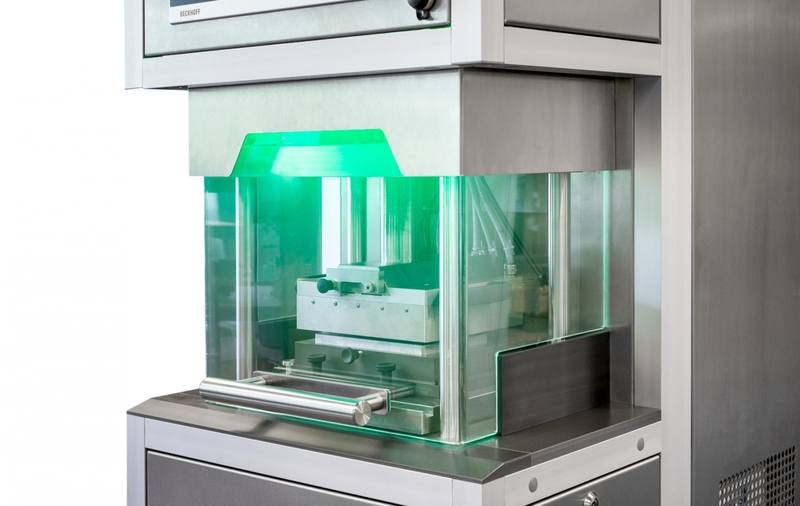 The R560 table top blister machine is ideal for projects with special blister packing requirements, such as oxygen sensitive, moisture sensitive or heat sensitive products. Deep draws or special formed blisters are also possible on the R560 blister machine. Furthermore the Table Top Blister Machine R550 can be upgraded to be used for Transdermal Patch development, Blister strip Development or for customised application. All tooling is exchangeable within the full range of blister machines, allowing you to scale up your production cost effectively. Optional unique combined sealing and punch cutting tool which give you added operating benefits. Raupack is delighted to announce that it has become the UK Agent for Rohrer AG, Processing & Packaging Technology Division.